Most guys enjoy having a great head of hair. They get it trimmed just right and style their hair with product to keep their hair looking its best all day and into the night. 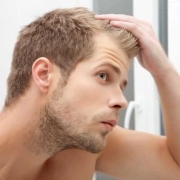 Hair loss can easily take more than just a guys hair away but it also can strip a man of his confidence. For many guys, especially those who have seen or remember the old toupees that were made fun of in old movies, don’t realize that times and hair replacement methods have changed. Men today have choices when it comes to regaining their hair. For many men that experience hair loss do so because of a condition known as male pattern baldness. 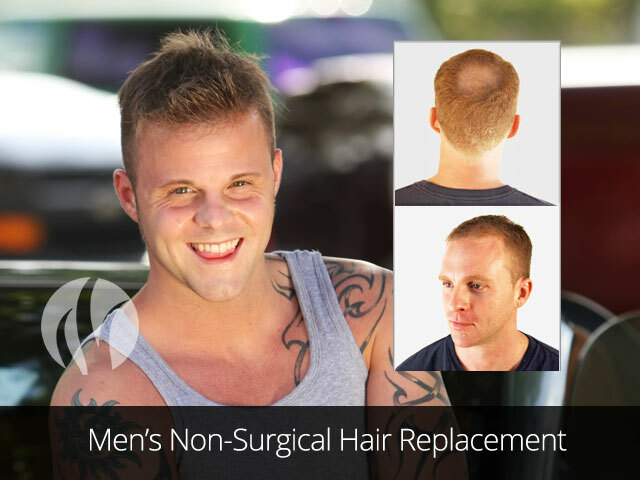 It often goes unrecognized for many guys until about 50 percent of their hair has already been lost. The main reason for male pattern baldness for 90% of men’s hair loss is a clinical term known as androgenic alopecia. There is a popular form of measurement that is used to classify the progression of male pattern baldness with the use of the Norwood-Hamilton scale. The scale ranges from 1, which is no hair loss to 7 which indicated severe baldness with only a rim of hair remains. It’s an important note that not all men will associate with a degree on the Norwood scale. In as little as just 4 weeks you can get your hair back! To find the best and most personalized hair loss solution for you, schedule a free consultation with one of our hair loss specialists.